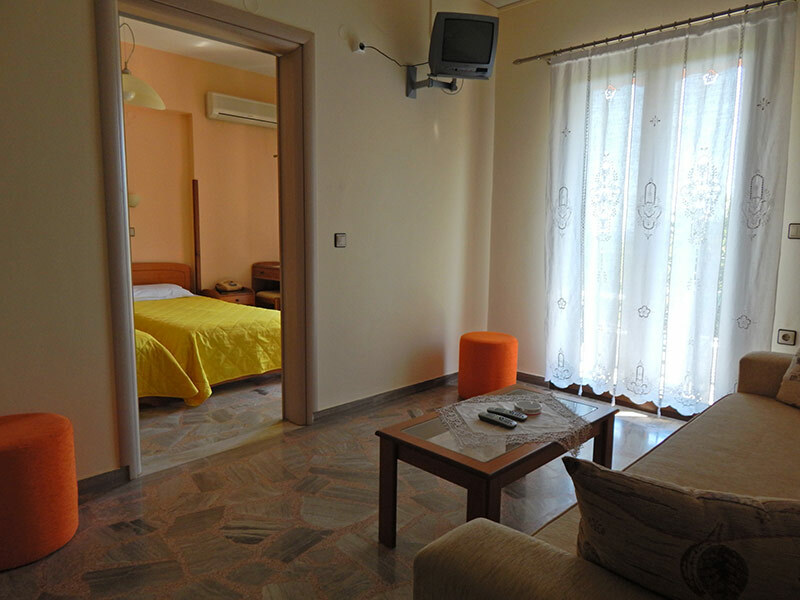 The Hotel Stella bay has five double rooms, 1 studio and 3 two rooms’ apartments. 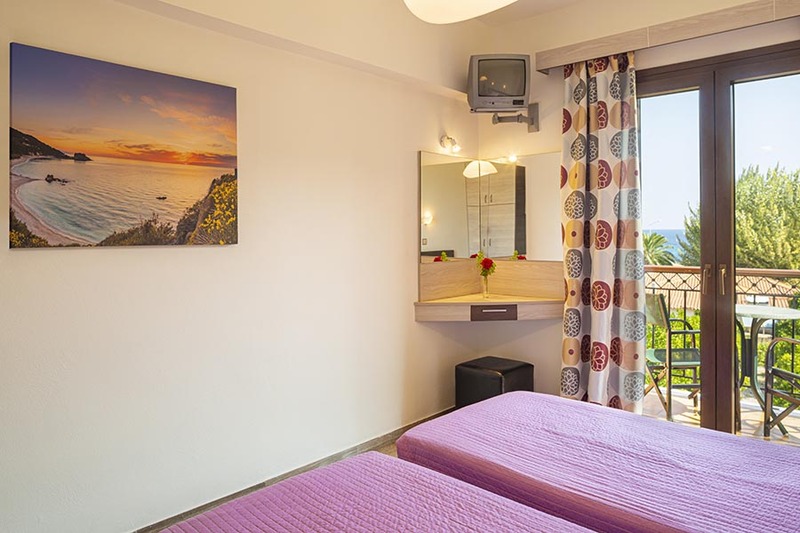 All the rooms have balconies overlooking the sea and only the two apartments are overlooking to the beautiful mountain and to the garden of the hotel. 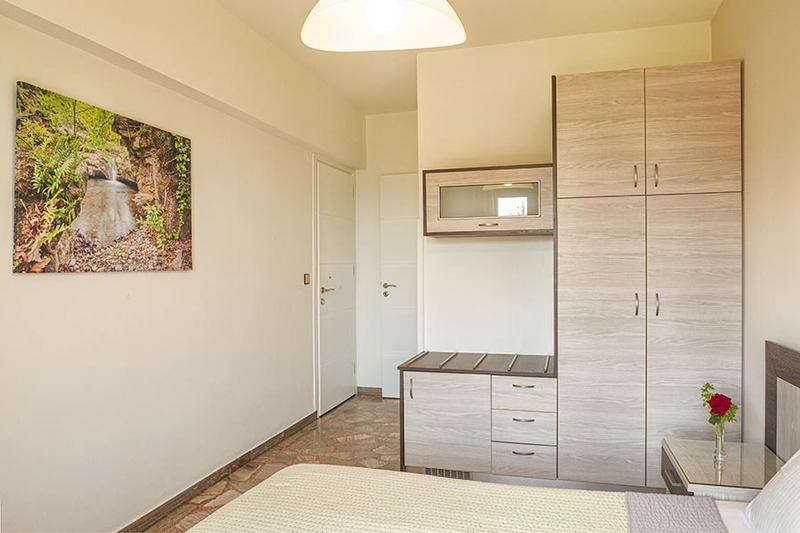 All the rooms are equipped with shower, hairdryer, fridge, TV, safe, air conditioning, and free internet connection. 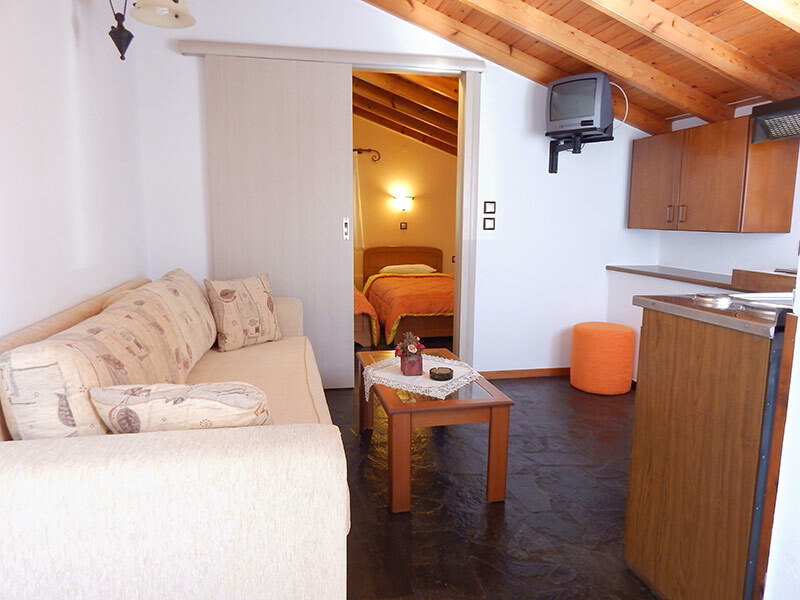 Our studio has King-size-bed and kitchen, and all comforts as double rooms. 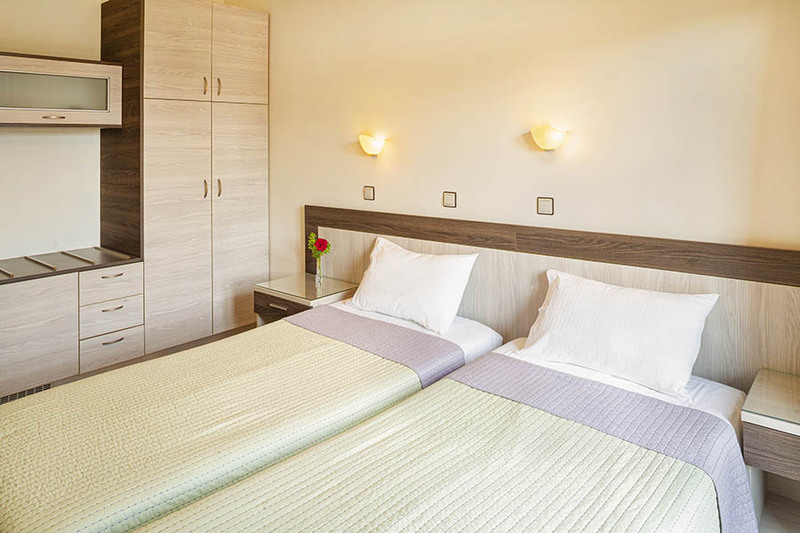 The hotel offers a variety buffet breakfast every day Only 30 minutes from our apartments with the car is the airport ARISTARCHOS OF SAMOS. Our airport has a connection with the airport of Athens ELEYTHERIOS VENIZELOS, every day and of course with most of the Europeans Countries. For our clients we offer the transfer from and at the airport for free! Samos is connected to the port of Piraeus with daily routes. Vessels are approaching the harbour of the capital Vathy and the second major port Karlovasi. It is also connected with other ports of the round islands .